The web platform provides an excellent mechanism simplify your app distribution and deployment issues. There is no longer a need for CD-ROMs, or to send a computer technician to install the app on each client computer. Other related problems such as verifying that the client has the right application version, application dependencies and security can be simplified. When you modernize your legacy app with Mobilize.Net\Artinsoft you could take advantage of several options. In terms of application distribution\deployment thru web technologies or running your application inside a web browser we have several post describing different way of doing this. Some VB6 and Windows Forms applications are still great but probably you need them to reach a bigger audience. There are now amazing devices with internet access, but all of then different in hardware and software combinations. HTML and in particular HTML5 five technologies provide an unifying set of technologies that are supported by the main industry vendors. HTML5 browsers are available on tables, cell phones, linux/mac/windows PCs. 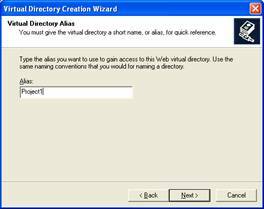 In this post I will add references to other pages which do a great work on explaining how to use this approach to host a Windows Forms App inside a WebBrowser. NOTE: "This workaround of .NET Winforms to WPF and then hosting it in a browser isn't truly moving a Windows based application to a web based application. e.g. database calls will be made from inside the browser on the users PC to the database, not via the IIS server. 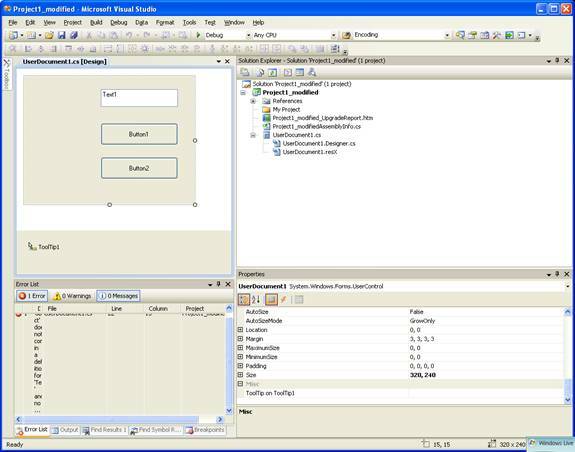 Therefore this functionality is most useful if you have connected your Winforms UI to you back-end code using web services, then you can have a somewhat web based application." Figure 1: Example of Windows Forms applications running inside FireFox browser using an XBAP wrapper. 1. Create a test Certificate within Visual Studio and sign it against the project. The following links provides information on how to sing the xbap with your own certificate. 2. Within VS publish the application. I think Silverlight is a great technology that can be use to create great applications, or as a migration target from Visual Basic 6, Powerbuilder or Windows Forms apps which can take advantage of a very simplified deployment approach. Deployment is as simple as just publish your SL application on your intranet and your clients just need to press F5 to have the latest SL version. Silverlight provides a good balance between ease of development and platform features(XAML and .NET and Visual Studio). Silverlight can run cross-platform. (On Windows and Mac using the official Microsoft implementation and on Linux using Moonlight. 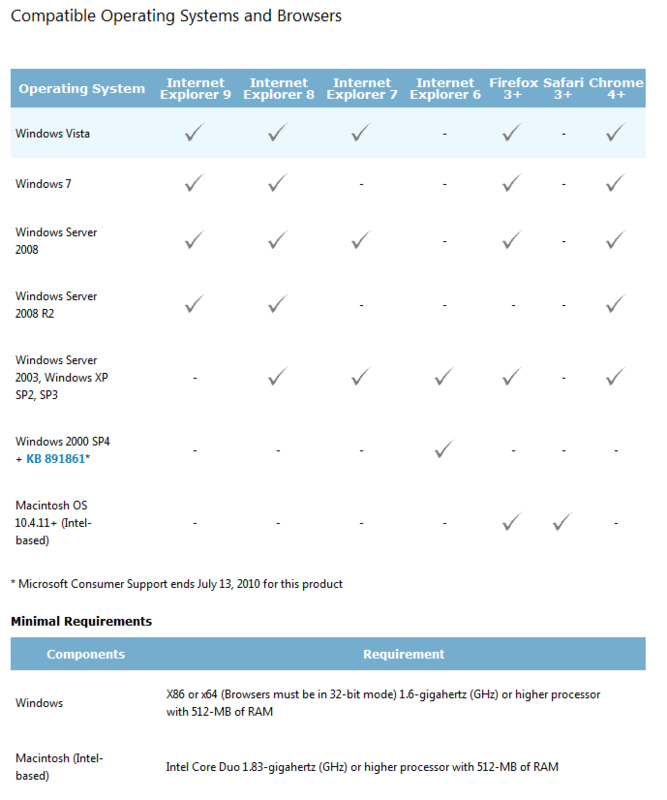 Also Silverlight is a good intermediate point if you plan to modernize your application even further to Windows 8 but not just yet. 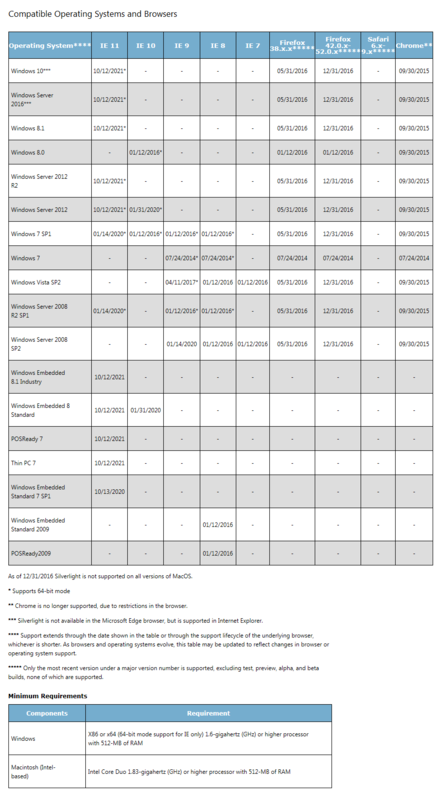 You will find several resources for porting your Silverlight app to Windows 8 like http://msdn.microsoft.com/en-us/library/windows/apps/xaml/br229571.aspx. NOTE: Moonlight provides support for 32 and 64 bit Linux. It supports Silverlight 2.0, and some features of silverlight 3 and 4, but is not currently an active project. "In the past, Web developers often used ActiveX controls to provide rich client-side functionality in their Web applications. Now developers can easily build objects using the Microsoft .NET Framework that are more compact, lightweight, secure and can be hosted within Internet Explorer. 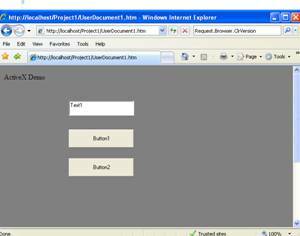 By hosting .NET Windows Forms controls in Internet Explorer, developers can accomplish many client-side Web development goals..."
In the rest of this article he provides great details on how to accomplish this task. It requires .NET runtime to be installed on the client machine. 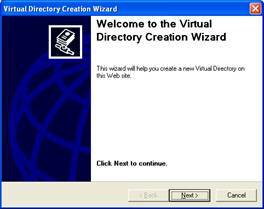 It also requires Windows 2000 and IIS 5.0 or above on the server side"
This post describes an an interesting workaround that you can use to support the migration of ActiveX Documents with the Artinsoft Visual Basic Upgrade Companion which is one of the Artinsoft \ Mobilize.NET tools you can use to modernize your Visual Basic, Windows Forms and PowerBuilder applications. Currently the Visual Basic Upgrade Companion does not allow you to process ActiveX Document directly, but there is a workaround: in general ActiveX Document are something really close to an User Control which is a element that is migrated automatically by the Visual Basic Upgrade Companion. This will generate a new project called Project1_modified.vbp. Migrate this new project and now UserDocuments will be supported. 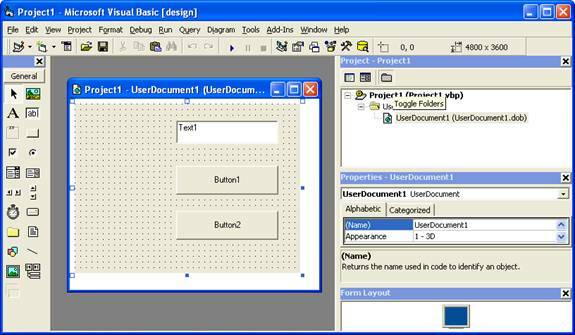 VB6 allows you to create UserDocuments, which can be embedded inside an ActiveX container. The most common one is Internet Explorer. 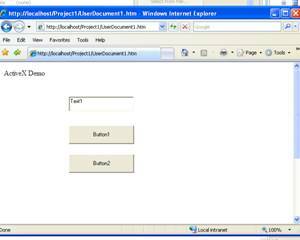 After compilation, the document is contained in a Visual Basic Document file (.VBD) and the server is contained in either an .EXE or .DLL file. During development, the project is in a .DOB file, which is a plain text file containing the definitions of the project’s controls, source code, and so on. 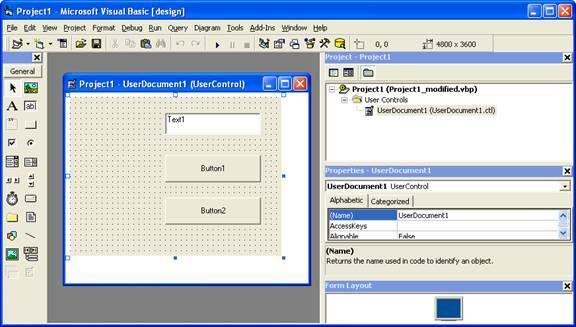 If an ActiveX document project contains graphical elements that cannot be stored in text format, they will be kept in a .DOX file. The .DOB and .DOX files in an ActiveX document project are parallel to the .FRM and .FRX files of a regular Visual Basic executable project. 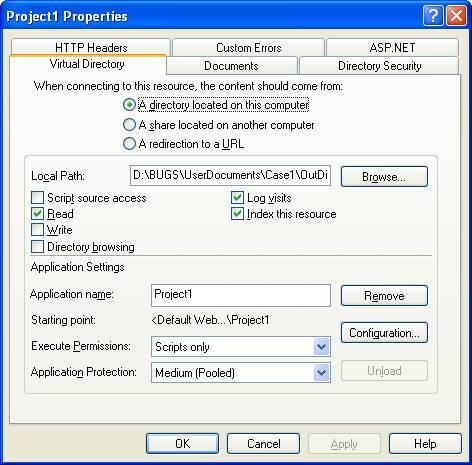 The trick to support ActiveX documents is that in general they are very similar to UserControls, and .NET UserControls can also be hosted in a WebBrowser. The following command line tool can be used to update your VB6 projects. 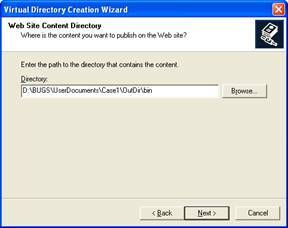 It will generate a new solution where UserDocuments will be defined as UserControls. So after you have upgraded the projet with the Fixing tool, open the Visual Basic Upgrade Companion and migrate your project. Now all that is left is to publish the output directory. 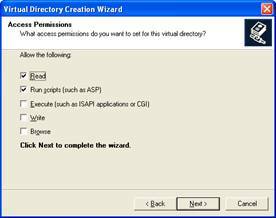 To publish your WinForms user control follow these steps. 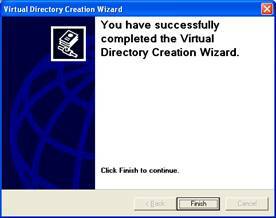 A Wizard to create a Virtual Directory will appear. Notice that there will be security limitations, for example for thinks like MessageBoxes. * It requires .NET runtime to be installed on the client machine. Due to all of the above constraints, it might be beneficial to detect the capabilities of the client machine and then deliver content that is appropriate to them. For example, since forms controls hosted in IE require the presence of the .NET runtime on the client machine, we can write code to check if the client machine has the .NET runtime installed. You can do this by checking the value of the Request.Browser.ClrVersion property. If the client machine has .NET installed, this property will return the version number; otherwise it will return 0.0.